Since the start of the 116th Congress in January, the gas tax has been having a moment. At congressional hearings, keynote addresses and panel discussions inside the Beltway and around the country, a significant number of infrastructure proponents have called on transportation policymakers to raise the federal fuel tax. 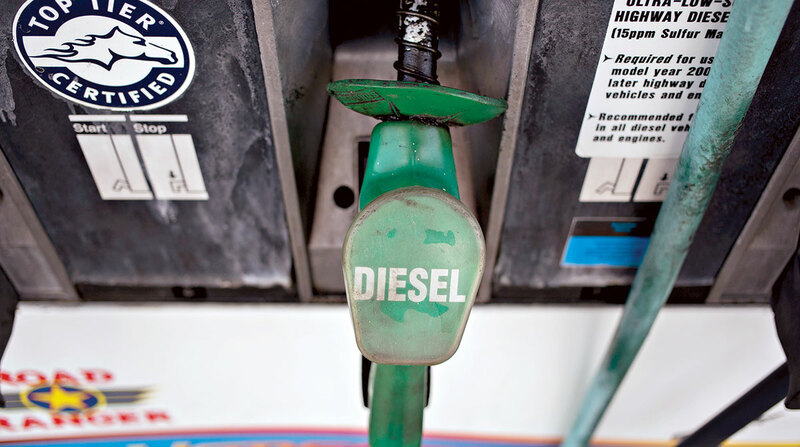 Raising the tax on gas and diesel fuel would help lawmakers achieve a sustainable source of funding for an infrastructure bill expected sometime in May, the groups argue. Key Democratic lawmakers are echoing the proponents’ sentiment. Top Republicans, meanwhile, are not flatly ruling it out. And for Republicans, that’s a departure. As recently as the previous Congress, the GOP strongly shut down the possibility of raising the gas and diesel taxes. Ed Mortimer, vice president for transportation and infrastructure at the U.S. Chamber of Commerce, is one of those proponents. The chamber is promoting a 25 cents-per-gallon increase implemented over five years, and Mortimer recalls when the idea of raising the fuel tax was considered a joke. “In a word: encouraging,” Dean Franks, senior vice president of congressional relations at the American Road and Transportation Builders Association, told Transport Topics on March 27, about the funding debate on Capitol Hill. ARTBA and the U.S. Chamber of Commerce are calling attention to highway projects and freight corridors nationwide, which most observers argue are underfunded. Through a national campaign, they are urging Congress to approve a long-term fix for the federal Highway Trust Fund, which assists states with maintenance and construction. In a couple of years, analysts estimate the fund will be unable to meet its obligation due to a reliance on dwindling revenue from the 24.4 cents-per-gallon diesel tax and 18.4 cents-per-gallon gas tax. Improved fuel efficiency and changes in driving habits are contributing factors. Responding to the senator, Chao acknowledged that advancing infrastructure legislation and reauthorizing a 2015 highway law was imperative. The White House, the secretary added, had not ruled out funding options that would back an infrastructure package. The previous day, counselor to the president Kellyanne Conway put the onus on Democrats. “It’d be nice if some Democratic senators and some Democratic House members would make good on their gauzy opaque promises back home to work with the White House and work in a bipartisan fashion on drug prices, on infrastructure,” Conway told reporters. Republican authorizers, repeating Chao’s nothing-is-off-the-table position, continue to point to a program that would charge motorists a fee for miles driven while tacitly criticizing the fuel tax. Senate surface transportation panel Chairman John Barrasso (R-Wyo.) recently told Transport Topics he was not a fan of raising the tax. House Highways and Transit Subcommittee ranking member Rep. Rodney Davis (R-Ill.) suggested Democrats and Republicans consider multiple funding options. Last year, former Rep. Bill Shuster (R-Pa.) drafted an infrastructure plan that included multiple funding options, such as a fuel tax increase. Shuster, who had been chairman of the Transportation and Infrastructure Committee, joined the Bipartisan Policy Center this year. A user fee would be a temporary fix, “but there has to be something down the road and there’s a lot of ideas out there,” the former chairman said at an event the center hosted this month. The federal fuel tax has not been raised since 1993. More than half of the states recently have approved higher fuel taxes to generate additional revenue for big-ticket projects. Many state officials justified their increases by citing federal inaction.